Join us for a unique, hybrid training experience to boost your presentation skills. If you are wanting to improve your skills to present at conferences this is the professional development opportunity for you. Many of these skills will be valuable when you are out in your community advocating for your library. These skills will be relevant for any type of library. 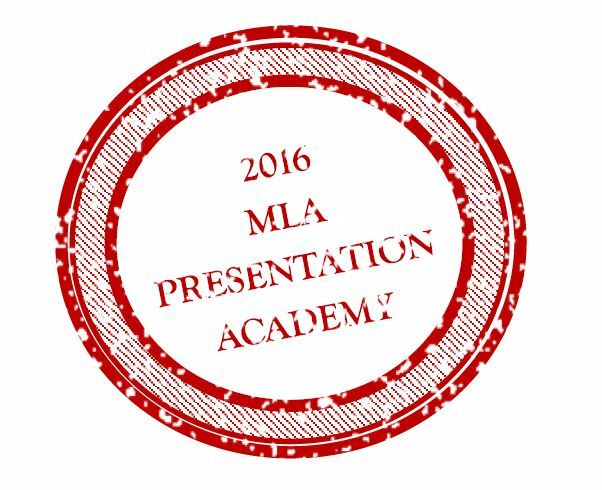 You’ll learn new ways to brainstorm presentation ideas, write successful conference proposals and design outstanding presentation aids. Interested librarians are encouraged, but not required, to attend all events. This in-person, four-hour training will take place at seven sites. The materials presented is identical at each site, so choose one that is convenient for you. Content:   Learn techniques for developing ideas for conference proposals; explore different presentation formats and which format your ideas works best with; strategies for developing content for your training idea; tips for writing winning conference proposals. This session will allow plenty of time for small group discussion. Registration opens Friday, April 1 at www.2016mlaworkshops.ezregister.com. Three webinars will explore specific topics for presenting. Webinar 1 will provide tips and techniques for building your oral communication skills. Webinar 2 will focus on visual presentation skills and creating handouts. Webinar 3 will be developed from the most repeated questions of the attendees. These one hour trainings will take place in June, July and August and each session will be archived for interested members. Content: Learn basic presentation skills, how to manage your own nervousness, tips for engaging your audience at the beginning and during the content of your talk, hints for maintaining eye contact, creating effective presentation aids, providing your audience with meaningful takeaways, and incorporating time for audience questions and discussion. 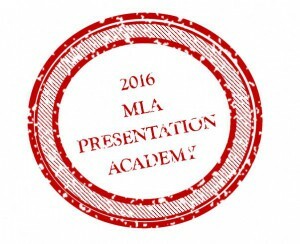 This three-hour event will provide Presentation Academy participants with the opportunity to put their learned skills into action and get feedback. An online version will be held for those unable to attend in person. Content: Participants will give a condensed 5-minute presentation based on their proposal and using the skills learned in the webinars. Feedback will be provided to those participating.